The Roto washbasin has a striking yet well-balanced goblet shape. Made of polyethylene in satin-finish orange or green, or shiny lacquer finish white, orange, green or grey. The material used and the roto moulding technology enable the Roto basin to be moulded in one piece emphasizing the purity of it's lines. Unique components with organic shapes: a perfect balance between functionality and emotion. The Scoop bathtub, already awarded with the Red Dot Design Award in 2007, and the floor base basin become seductive sculptures for the modern bathroom. 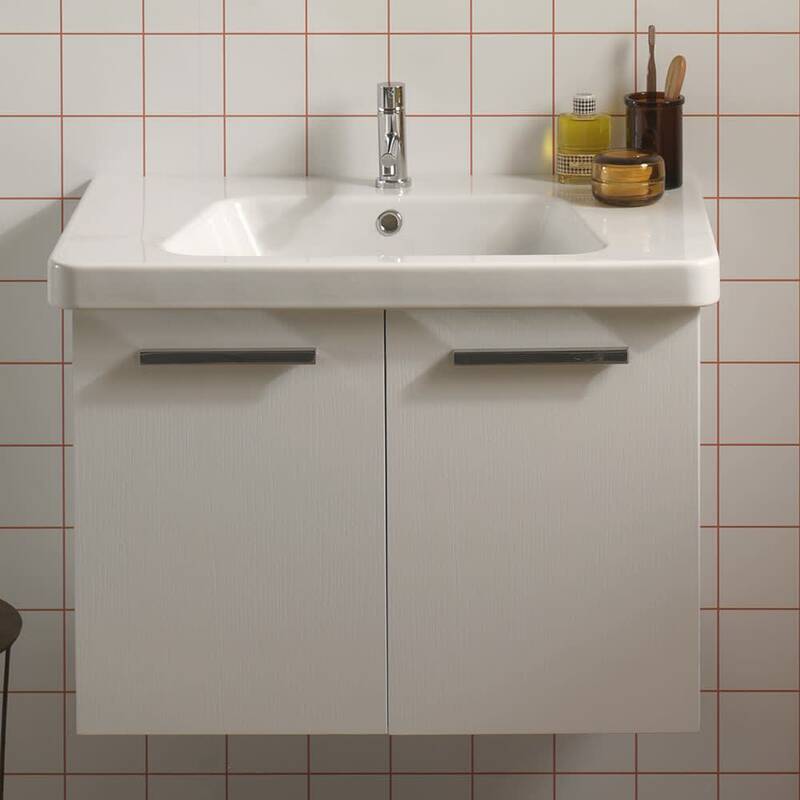 The collection designed by Michael Schmidt in 2013, expands with bathtubs, freestanding basins, above-mounted basins and wall-mounted shelves. Delicate and feminine forms, which transform the bathroom following a rather poetic extraordinary, only possible when tradition and experience meet 3D technology. This elegant waste-paper basket can be wall mounted or stood on the floor. Made of curved plywood, with light, medium or dark oak finish, or in white or grey. The wall lamps 369 create a special atmosphere thanks to their light beams projected forward and, depending on the installation, upwards or downwards. Made of polished or satin-finish stainless steel with diffuser in frosted pyrex glass.